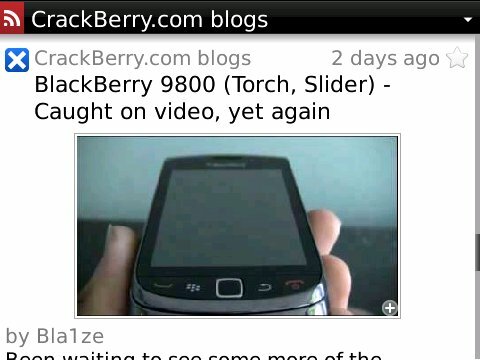 BerryReader for BlackBerry now available - Google Reader client with loads of features - 50% off through Sunday! Quickly toggle an article's Starred, Like, Unread and Shared labels or edit the article's tags for later filtering. This app really has some great features and the updates will keep coming. BerryReader is available for $9.95 (a bit steep, but totally worth it for the sync and other features) and a 7-day trial is available. If you pick it up before Sunday using the code berryreader50 you can save 50% (this code only works in the mobile app store or Superstore client). 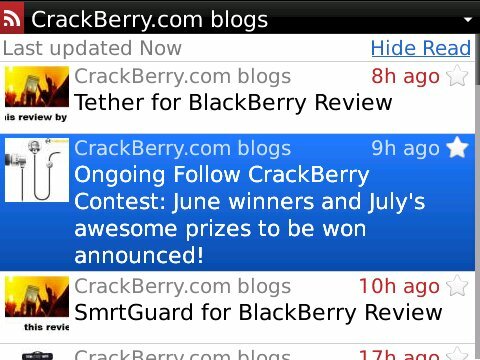 You can grab it at the link below or via our recently-updated on-device CrackBerry App Superstore client.